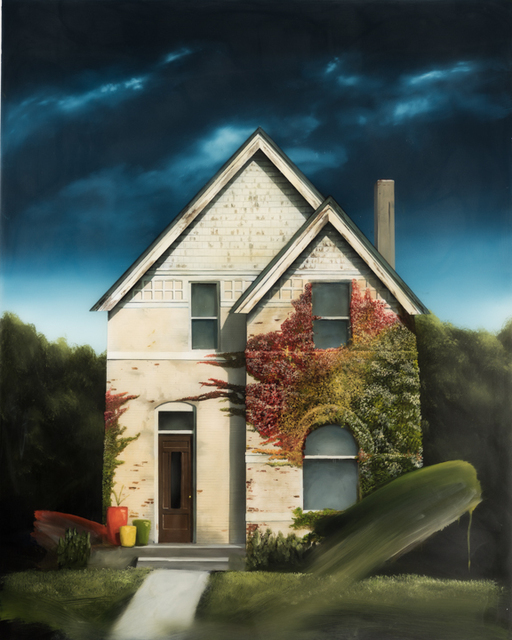 Jared Small returns to David Lusk Gallery Nashville for a year-end solo exhibition. In Dimension follows Dimension that began 2018 for DLG Memphis. 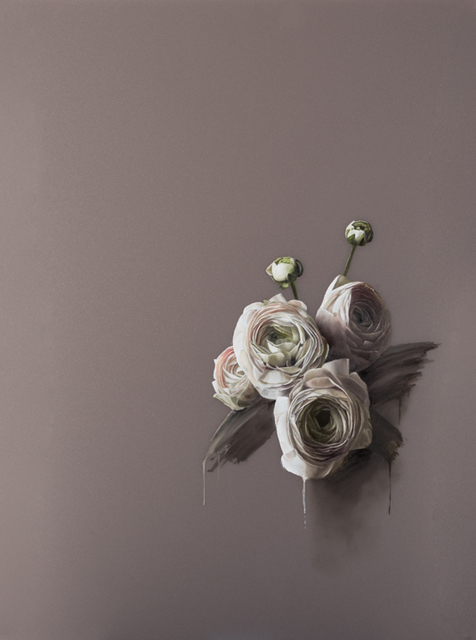 Small has added an element of sculpture to his collection of paintings featuring flowers floating in ethereal spaces and Southern homes existing in ambiguity. Small’s ability to accurately detail exactly what he sees is one of his greatest talents. He describes his practice as, “…trying to accomplish a dream-like state. I’m imagining other people’s memories—fading, but still there.” The flowers drip and meld on the glass surface, drawing the viewer back to a moment in time. Having recently experimented with layering resin over his paintings on panel, Small now takes it one step further by painting sections of the work on multiple, aligned panes of glass in a frame, simultaneously creating a sculpture and a painting. 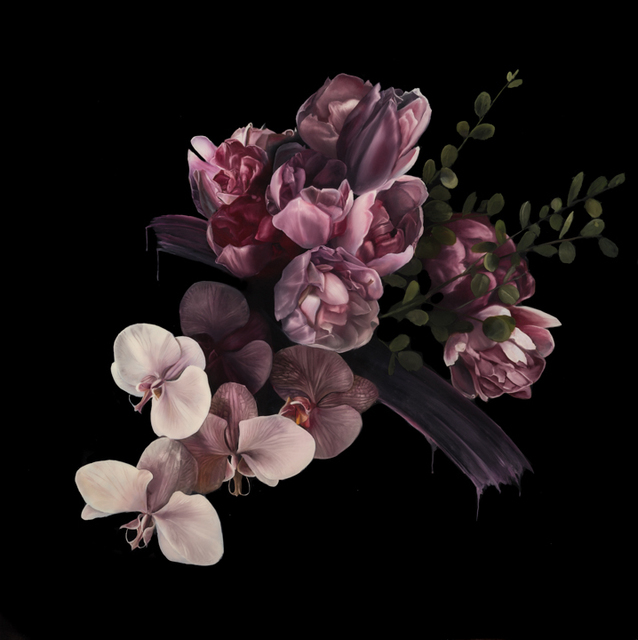 These paintings examine perspective and a structural element not seen in his previous works. 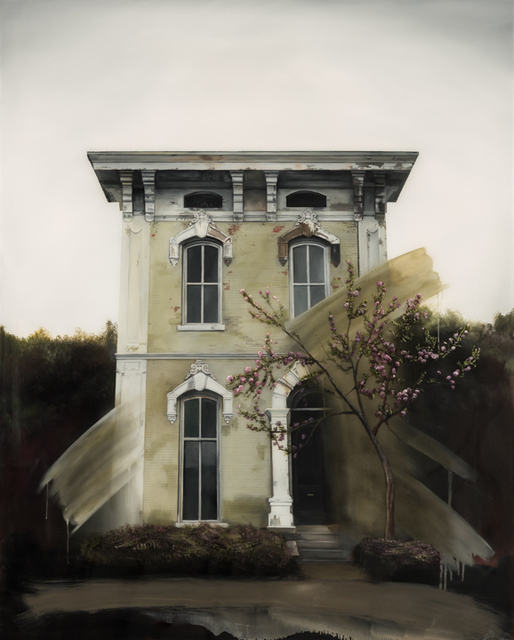 Still harnessing his style similar to magical realism, Small focuses on the center of each painting on a painstakingly accurate image of a flower or house that dissolves into a background of abstracted elements that devise an emotional and dramatic interpretation of the subject. Essentially self-taught, Small lives and works in Memphis. He attended Overton High School and the University of Memphis, and has participated in numerous exhibitions in Tennessee, and is featured in a major solo exhibition at the Huntsville Museum of Art in February 2019. Public and private collections boast his work, including the monumental allegorical painting True Blues in Nashville Music City Center’s permanent collection. He’s shown his work in galleries and museums, including the Dixon Gallery and Gardens and the Memphis Brooks Museum of Art, where one of his paintings is included in the permanent collection.